* In Xcode, go to the Product menu and choose Edit Scheme. * Select Debug on the left. * Select Arguments on the right. * Under Arguments Passed On Launch, click the add button. Our fetched results controller is getting the primary key for all 1000 events, but only loading the first batch of 20 records. The fetched results controller smartly loads the next batch of 20 records when they’re needed. Our fetched results controller is now loading *everything*. It doesn’t keep all the objects loaded in memory (i.e. scrolling down still loads 20 at a time), but all the objects are temporarily loaded upfront. Why would it do such a thing? There’s no way for the fetched results controller to know how many groups there are without instantiating all our object to call - (NSNumber*)year on each event. The bigger our dataset becomes, the longer the delay will be. Fortunately, there’s a workaround. Look how it’s using GROUP BY. It now does the grouping with SQL! The second SQL query calculates the number of groups and how many records are in each group. From there, it only loads the first batch of 20 records. We get lazy fetching again which means a quick-loading table view. It’s pretty amazing that giving NSFetchedResultsController a method to emit sections works at all. But that clever behavior comes at a cost in performance. For small datasets the performance hit might not be noticeable. But if you’re dealing with a lot of data, you don’t want to keep your users waiting while all the data loads upfront. In those cases, you can use denormalization to store your section names in the database. The end result is much snappier performance and, hopefully, happier users. 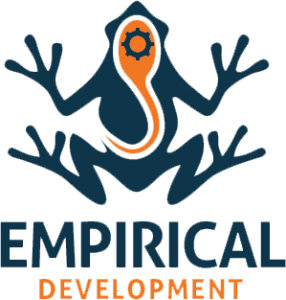 This guest post was contributed by Ben Blakely of Empirical Development. As part of our development cycle we frequently run across interesting discoveries. When these are potentially of interest to other development teams we will be contributing them to Cocoa Is My Girlfriend.